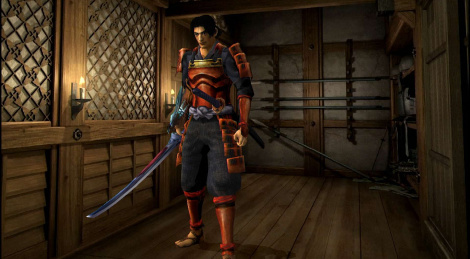 Onimusha: Warlords and its 2 sequels are without a doubt part of the best PS2 games, but it's hard to be excited by this port on current gen hardware. The paint job is minimum and the graphics clearly show their age, so do the fixed camera angles, which are even more annoying than in the past because that is just not how people like to play games now. The 16:9 aspect ratio is also a bit of a letdown as the camera basically zooms in and cuts off the top and bottom portions of the screen. Maybe it would have been more interesting to release a collection including the 3 games, even more so as the first game offers a very short experience (5 hours tops). When you consider that a true remake of another Capcom classic is on its way, why would you choose Onimusha over RE2? The silver lining is that it will give more people a chance to discover the series today, and maybe allow them to realize that a new episode would make perfect sense in a world where Nioh and Sekiro: Shadows Die Twice are kings. Yes, one of the best openings of all time. Interestingly, I saw it a few months ago and modern games look better than that opening now, though it's hard to judge when you only have access to a 360p or 480p version of that opening - there's no version with a better resolution since it was made so long ago. PS. Glad to see we can all speak French now. Bonjour! I do remember the 3rd one. That scene when he goes one on one with the enemy, the motion capture is crazy. The actual game......... not so much. Its a perfect example of a game somehow being worse looking with its sequel, the way here we got a game with STUNNING prerendered backgrounds to the next one meh 3D environment visuals. It happened with Code Veronica on Dreamcast too, a series with usually brilliant prerendered backgrounds and amazing character animations to hilarious bad looking animations and very bland 3D visuals. The worse thing about this remaster is it basically should have been a PS2 HD release for PS4 since there is hardly any real work being done here. All English now. Sorry about that guys! in-game could do better nowadays. I always thought Nioh is sort of heir to Onimusha. Yeah, they should have put the 3 games in one, considering they didn't do much improvement. Then they could remake the 4th one if there was still a demand (at least that is how I expected it happen after Capcom started getting into remakes and stuff). I figured that would be the case. but that's not my biggest complaint about the PC version. ....a GTX 960 for recommended!!! ......?? such bloatware!! and no 4k support. I tried it yesterday. This deserved the remake treatment, it's a bit of a shame it's not but even so it's still the same wonderful game it always was and it certainly looks better, if not impressive, actually not much better than the emulated version. I'm all about VR these days but I kind of miss the days of prerrendered graphics, there were so many awesome games. Onimusha is one of the best. I'm actually tempted to play it again, even though I already 100% it on the X360, but this version has a lot of new content. I'm just waiting for a price drop because right now the price is 10 bucks (Brazilian currency) higher than the Resident Evil 2 Remake - which I understand is a 60-100 hours game vs a 15-20 one, but RE2R is like a new game, while ToV is just a port like Onimusha here. Pricing aside, and it's a very long game, as most RPGs are, but any chance of you ever giving it another go? Not one, too little time. Yeah, I figured, but had to try. But you will make time for Resident Evil 2 Remake, right? RIGHT!?! - Asking in a completely non-forceful voice. Considering I still own the US version of the original game, I will try yes. I still have the US DualShock version of Resident Evil 2, have RE1 and RE3 discs as well. I have some of my PS1 discs, PS2 discs, my PC games discs - back when they released PC games on physical media, StarCraft, Commandos, etc. But now that you actually made me think of them in many, many years. My PS2, PC discs and movies' DVDs and Blu-Rays are with me, but I don't know if my PS1 discs are here in my current house or if I left them in my father's house. Weird how that never even crossed my mind until now. And now I don't know where they are. Time to look for some PS1 discs, I guess - or maybe not, on second thought, better not go looking for something that will most likely make me wanna replay some games. I swear if I find Xenogears... have been thinking of replaying it for the longest time now, almost 2 years, but it's a 120 hours game. If that happens, RIP back catalog.